Hepatitis B surface antigen (HBsAg) is one of the most standard tests for this infection. This antigen can be present before the symptoms of this disease are present. Now, if it’s present for six months, then you have a chronic HBV infection. It means that you can spread this virus to others throughout your life. Another available test is hepatitis B surface antibody (HBsAb). It’s not as common as HBsAg. However, it’s vital to know if the infection is at the end of its active stage. If it is, then you’re no longer considered as contagious. It means you can’t pass the infection to others. The HBsAb test is used to know whether you have the antibody after you’ve received a series of HBV vaccine series. Now, if the test showed that you have both the antibodies and antigen, then you’re still considered as contagious. What is HBV DNA test? 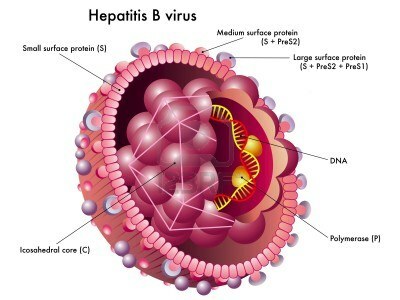 It’s another test for hepatitis B that checks for the DNA of the HB virus. The test measures the amount of this genetic material is present in your body. If it’s at a high level, it means that the virus is still multiplying, and you can spread the disease. An increased viral DNA level could mean that you’re at high risk for a liver damage. Your doctor may prescribe an antiviral medicine. This test is also utilized to know whether or not the treat for your chronic HBV infection is effective. Compared with HBeAg test, DNA testing for HBV is more sensitive. Hepatitis B test is performed in various clinics in Fresno, Bakersfield, Visalia, Delano and Clovis. These clinics offer affordable tests for the most common sexually transmitted diseases.